Gascoigne, George. “Certayne Notes of Instruction concerning the making of verse or ryme in English…” In The Posies of George Gascoigne. London: Richard Smith, 1575. Puttenham, George. The Art of English Poesy: A Critical Edition. 1589. Ithaca, NY: Cornell University Press, 2007. Lancelot, Claude. Quatre Traitez de Pöesies Latine, Françoise, Italienne, et Espagnole. 1663. Poole, Joshua. The English Parnassus: Or, a Helpe to English Poesie. London: 1657; 2nd ed. 1677. Bysshe, Edward. The Art of English Poetry. Containing I. Rules for making VERSES. II. A Collection of the most Natural, Agreeable, and Sublime THOUGHTS, viz. Allusions, Similes, Descriptions and Characters, of Persons and Things, that are to be found in the best ENGLISH POETS. III. A Dictionary of RHYMES. London, 1702, 1705, 1708, etc. Steele, Sir Joshua. Prosodia Rationalis: or an Essay Towards Establishing the Melody and Measure of Speech, to be Expressed and Perpetuated by Peculiar Symbols. 1775. London: T. Payne & Son, 1779. Hood, Tom. A Practical Guide to English Versification. London, 1869. New Edition, titled Rules for Making English Verses, London: John Hogg, 1877. Brewer, R. F. Orthometry: A Manual of English Prosody: Being an Introduction to the Study of Poetry. 1869. Many later editions and reprints up to 1950. Gayley, Charles Mills, and Clement C. Young. English Poetry: Its Principles and Progress. 1904. London, England: Macmillan and Co., Ltd, 1910. Saintsbury, George. Historical Manual of English Prosody. 1910. New York, NY: Shocken Books, 1966. Grew, Sydney. A Book of English Prosody. London: Grant Richards, 1924. Felkin, F. W. The Poet’s Craft: An Outline of English Verse Composition for Schools. London: George Allen & Unwin, 1919. New York, NY: Henry Holt, 1926. Smith, Egerton. The Principles of English Metre. Oxford: Oxford University Press, 1923. Gummere, Francis B. A Handbook of Poetics, for Students of English Verse. Boston, MA: Ginn & Company, 1885. 2nd ed. 1886; 3rd ed. 1890; 1902. Johnson, Charles Frederick. Forms of English Poetry. New York: American Book Co., 1904. Lewis, Charlton Miner. The Principles of English Verse. 1906. New Haven: Yale University Press, 1929. Matthews, Brander. A Study of Versification. Cambridge, MA: The Riverside Press, 1911. Untermeyer, Louis. The Forms of Poetry : A Pocket Dictionary of Verse. New York: Harcourt, Brace, 1926. Pyre, J. F. A. A Short Introduction to English Versification. New York, NY: F. S. Crofts & Co., 1929. Stewart, George R., Jr. The Technique of English Verse. New York: Henry Holt and Company, 1930. Hamilton, Anne. How to Revise Your Own Poems: A Primer for Poets. Los Angeles, CA: Abbey San Encino Press, 1936. Untermeyer, Louis. Doorways to Poetry. New York, NY: Harcourt, Brace and Company, Inc., 1938. Wood, Clement. Poets’ Handbook. New York: Greenberg, 1940. Hillyer, Robert. First Principles of Verse. 1950. Revised Edition. Boston, MA: The Writer, Inc, 1962. Adams, Stephen. Poetic Designs: An Introduction to Meters, Verse Forms and Figures of Speech. Peterborough, Ontario, CA: Broadview Press Ltd., 1997. Baer, William. 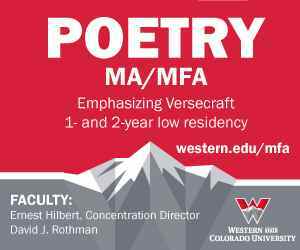 * Writing Metrical Poetry: Contemporary Lessons for Mastering Traditional Forms. Cincinnati, OH: Writer’s Digest books, 2006. Bishop, Wendy. Thirteen Ways of Looking for a Poem: A Guide to Writing Poetry. New York, NY: Longman, 1999. Boland, Eavan, and Mark Strand, eds. The Making of a Poem: A Norton Anthology of Poetic Forms. New York, NY: W.W. Norton and Company, Inc., 2000. Bugeja, Michael J. The Art and Craft of Poetry. Cincinnati: Writer’s Digest Books, 1994. Caplan, David. * Poetic Form: An Introduction. New York, NY: Longman, 2006. Corn, Alfred. * The Poem’s Heartbeat: A Manual of Prosody. Brownsville, OR: Story Line Press, 1997. Dessner, Lawrence Jay. How to Write a Poem. New York, NY: New York University Press, 1979. Deutsche, Babette. Poetry Handbook: A Dictionary of Terms. 1957. Fourth Edition. New York, NY: Harper and Row, Publishers, Inc., 1974. Drury, John. The Poetry Dictionary. 2nd Edition. Cincinnati, OH: Readers Digest Books, 2005. Eldridge, William Terry. The Anatomy of Poetry: A Handbook on the Mechanics and Craft of Poetry. NP: Exeter Press, 1961. Fry, Stephen. The Ode Less Travelled: Unlocking the Poet Within. New York, NY: Gotham Books, 2006. Fussell, Paul. Poetic Meter and Poetic Form. 1965. Revised Edition. New York: McGraw-Hill, Inc., 1979. Hollander, John. Rhyme’s Reason: A Guide to English Verse. 1981. New, Enlarged Edition. New Haven, CT: Yale University Press, 1989. Jerome, Judson. The Poet’s Handbook. Cincinnati, Ohio: Writer’s Digest Books, 1980. Johnson, Burges. New Rhyming Dictionary and Poets’ Handbook. New York, NY: Harper & Row, 1957. Lennard, John. The Poetry Handbook. Second Edition. New York, NY: Oxford University Press, 2006. Lyon, Travis. Forms of Poetry. Pittsburgh, PA: TeaLemon Books, 2003. McAuley, James. Versification: A Short Introduction. Detroit, MI: The Michigan State University Press, 1966. Malcovati, Leonardo. Prosody in England and Elsewhere: A Comparative Approach. Arlington, Virginia: Givald Press, 2005. Malof, Joseph. A Manual of English Meters. Bloomington, IN: Indiana University Press, 1970. Myers, Jack Elliott and Michael Simms. Longman Dictionary and Handbook of Poetry. New York: Longman, 1985. Updated edition published as Dictionary of Poetic Terms, by Jack Myers and Don C. Wukasch. Denton, TX: University of North Texas Press, 2003. Oliver, Mary. Rules for the Dance: A Handbook for Writing and Reading Metrical Verse. New York, NY: Houghton Mifflin Company, 1998. Packard, William. The Poet’s Dictionary: A Handbook of Prosody and Poetic Devices. New York, NY: HarperCollins Publishers, Inc., 1994. Parrott, E.O., ed. How To Be Well-Versed in Poetry. London, England: Penguin Books Ltd, 1991. Powell, Joseph and Mark Halperin. Accent on Meter: A Handbook for Readers of Poetry. Urbana, IL: National Council of Teachers of English, 2004. Skelton, Robin. The Shapes of Our Singing: A Guide to the Metres and Set Forms of Verse from Around the World. Spokane, WA: Eastern Washington University Press, 2002. Turco, Lewis. * The Book of Forms. 1968. Third Edition. Hanover, NH: University Press of New England, 2000. Untermeyer, Louis. The Pursuit of Poetry: A Guide to its Understanding and Appreciation with an Explanation of its Forms and a Dictionary of Poetic Terms. New York: Simon and Schuster, 1969. Williams, Miller. Patterns of Poetry: An Encyclopedia of Forms. Baton Rouge : Louisiana State University Press, 1986. Whitworth, John. Writing Poetry. London: A & C Black, 2001. Attridge, Derek. * Poetic Rhythm: An Introduction. Cambridge, England: Cambridge University Press, 1995. Carper, Thomas* and Derek Attridge. * Meter and Meaning: Introduction to Rhythm in Poetry. New York, NY: Routledge, 2003. DeFord, Sara and Clarinda Harriss Lott. Forms of Verse: British and American. New York: Appleton-Century-Crofts, 1971. Finch, Annie* and Kathrine Varnes. * An Exaltation of Forms. Ann Arbor, MI: University of Michigan Press, 2002. Hobsbaum, Philip. Metre, Rhythm and Verse Form. New York, NY: Routledge, Taylor and Francis Group, 1996. Kinzie, Mary. A Poet’s Guide to Poetry. Chicago, IL: The University of Chicago Press, 1999. Pinsky, Robert. The Sounds of Poetry: A Brief Guide. New York, NY: Farrar, Straus and Giroux, 1999. Steele, Tim. * All the Fun’s in How You Say a Thing: An Explanation of Meter and Versification. Athens, OH: Ohio University Press, 1999. Altenbernd, Lynn and Leslie L. Lewis. 1963. A Handbook for the Study of Poetry. New York: Macmillan, 1966. A revised and expanded version of Part One of Introduction to Literature: Poems. Bogen, Nancy. How to Write Poetry. 1991. Third Edition. New York, NY: Macmillan, 1998. Eliopulos, Tina D. and Todd Scott Moffett. The Everything Writing Poetry Book: A Practical Guide to Style, Structure, Form, and Expression. Avon, MA: Adams Media, 2005. Fenton, James. An Introduction to English Poetry. New York: Farrar, Straus and Giroux, 2002. Lennard, John. The Poetry Handbook: A Guide to Reading Poetry for Pleasure and Practical Criticism. New York, NY: Oxford University Press, 1996. Livingstone, Dinah. Poetry Handbook for Readers and Writers. Houndmills, Basingstoke, Hampshire: Macmillan, 1993. McDowell, Robert. * Poetry as Spiritual Practice: Reading, Writing, and Using Poetry in Your Daily Rituals, Aspirations, and Intentions. New York: Free Press, 2008. Moustaki, Nikki. The Complete Idiot’s Guide to Writing Poetry. New York, NY: Penguin, 2001. Oliver, Mary. A Poetry Handbook: A Prose Guide to Understanding and Writing Poetry. New York, NY: Harcourt Brace and Company, 1994. Thiel, Diane. * Open Roads: Exercises in Writing Poetry. New York, NY: Pearson Longman, 2005. Addonizio, Kim. * Ordinary Genius: A Guide for the Poet Within. New York, NY: W. W. Norton & Co., 2009. Addonizio, Kim,* and Dorianne Laux. The Poet’s Companion: A Guide to the Pleasures of Writing Poetry. New York, NY: W. W. Norton and Company, 1997. Alderson, Daniel. Talking Back to Poems: A Working Guide for the Aspiring Poet. Berkeley, CA: Celestial Arts, 1996. Blehert, Dean. Please, Lord, Make Me a Famous Poet or at Least Less Fat. Reston, VA: Words & Pictures East Coast LLC, 1999. Clark, Kevin. The Mind’s Eye: A Guide to Writing Poetry. New York, NY: Pearson Education, 2008. Cohen, Sage. Writing the Life Poetic: An Initiation to Read and Write Poetry. Cincinnati, OH: Writer’s Digest Books, 2009. Drury, John. Creating Poetry. Cincinnati, OH: Reader’s Digest Books, 1991. Fiske, Robert Hartwell, and Laura Cherry, eds. Poem, Revised: 54 Poems, Revisions, Discussions. Portland, OR: Marion Street Press, 2008. Fowler, Gene. Waking the Poet: Acquiring the Deep Seated Crafts Usually Called ‘Talents’ Berkeley, CA: The Re-Geniusing Project, 1981. Grimm, Susan, ed. Ordering the Storm: How to Put Together a Book of Poems. Cleveland, OH: Cleveland State University Press, 2006. Holmes, John. Writing Poetry. Boston, MA: Writer, Inc., 1960. Jason, Philip K. and Allan B. Lefcowitz. 1994. Creative Writer’s Handbook. Fifth Edition. Englewood Cliffs, NJ: Prentice-Hall, 2009. Kirby, David. Writing Poetry: Where Poems Come From and How to Write Them. The Writer, Inc., 1989. Koch, Kenneth. Making Your Own Days: The Pleasures of Reading and Writing Poetry. 1998. New York, NY: Simon & Schuster (Touchstone), 1999. Kooser, Ted. The Poetry Home Repair Manual: Practical Advice for Beginning Poets. Lincoln, NE: University of Nebraska Press, 2005. Kowit, Steve. In the Palm of Your Hand: The Poet’s Portable Workshop. Gardiner, Maine: Tilbury House, Publishers, 1995. Longenbach, James. The Art of the Poetic Line. St. Paul, MN: Graywolf Press, 2008. Lyne, Sandford. Writing Poetry from the Inside Out. Naperville, IL: Sourcebooks, Inc., 2007. Marra, Reggie. Living Poems, Writing Lives: Spirit, Self, and the Art of Poetry. New Milford, CT: Xlibris, 2004. Mayes, Frances. The Discovery of Poetry: A Field Guide to Reading and Writing Poems. Orlando, FL: Harcourt, Inc., 2001. Mock, Jeff. You Can Write Poetry. Cincinnati, OH: Writer’s Digest Books, 1998. Morrison, Carol. How to Build a Long-Lasting Fire: Writing Poems from Your Life. Lincolnwood, IL: NTC/Contemporary Publishing Company, 1997. Myers, Jack. The Portable Poetry Workshop. Florence, KY: Wadsworth Publishing, 2004. Polonsky, Marc. The Poetry Reader’s Toolkit: A Guide to Reading and Understanding Poetry. Chicago, IL: NTC Publishing Group, 1998. Sansom, Peter. Writing Poems. 1994. Tarset, Northumberland: Bloodaxe Books, 2007. Scott, Wilbur. Skills of the Poet. New York, NY: Harper and Row, 1977. Smith, Michael C. Writing Dangerous Poetry. New York, NY: McGraw-Hill, 1998. Snodgrass, W. D. De/Compositions : 101 good poems gone wrong. St. Paul, MN: Graywolf Press, 2001. Statman, Mark. Listener in the Snow: The Practice and Teaching of Poetry. New York, NY: Teachers & Writers Collaborative, 2000. Sweeney Matthew. Teach Yourself Writing Poetry. 1995. New Edition. With John Hartley Williams. New York, NY: McGraw-Hill, 2009. Thiel, Diane. * Writing Your Rhythm. Ashland, OR: Story Line Press, 2001. Timpane, John and Maureen Watts. Poetry for Dummies. San Francisco, CA: San Francisco State University Poetry Center, 2001. Wooldridge, Susan Goldsmith. Poemcrazy: Freeing Your Life with Words. New York, NY: Three Rivers Press, 1996. Agostino, Paul. Created Writing: Poetry from New Angles. Englewood Cliffs, NJ: Prentice Hall, 1996. Ambrosini, Michelle and Teresa M. Morretta. Poetry Workshop for Middle School: Activities That Inspire Meaningful Language Learning. Newark, DE: International Reading Association, Inc., 2003. Baldwin, Neil. The Poetry Writing Handbook. New York, NY: Scholastic Book Services, 1981. Collom, Jack. Moving Windows: Evaluating the Poetry Children Write. New York, NY: Teachers & Writers Collaborative, 1985. Collom, Jack, and Sheryl Noethe. Poetry Everywhere: Teaching Poetry Writing in School and in the Community. New York, NY: Teachers & Writers Collaborative, 1994. Dunning, Stephen and William Stafford. Getting the Knack: 20 Poetry Writing Exercises. Urbana, IL: National Council of Teachers of English, 1992. Finn, Louise. Your Turn: 33 Lessons in Poetry. Portland, ME: Walch Education, 1998. Fletcher, Ralph. Poetry Matters: Writing a Poem from the Inside Out. New York, NY: Harper Collins, 2002. Gedalof, Allen J. Teaching Poetry: A Handbook of Exercises for Large and Small Classes. New York, NY: W. W. Norton & Company, 2004. Goldberg, Shari. Poetry and Prose Handbook. Grades 9 – 12. Portland, ME: Walch Publishing, 2003. Green, Benjamin and Anita Punla. Beyond Roses Are Red Violets Are Blue: A Practical Guide for Helping Students Write Free Verse. Fort Collins, CO: Cottonwood Press, Inc., 1996. Heard, Georgia. Awakening the Heart: Exploring Poetry in Elementary and Middle School. Portsmouth, NH: Heinemann, 1998. Janeczko, Paul. Teaching 10 Fabulous Forms of Poetry. Grades 4-8. New York, NY: Scholastic Publishers, 2000. —–. How To Write Poetry. New York, NY: Scholastic Reference, 2001. —–. A Kick in the Head: An Everyday Guide to Poetic Forms. Grades 3 – 6. Illustrated by Chris Raschka. Cambridge, MA: Candlewick Press, 2009. Koch, Kenneth. Rose, Where Did You Get That Red? : Teaching Great Poetry to Children. 1970. New York, NY: Vintage, 1990. —– and Ron Padgett. Wishes, Lies, and Dreams: Teaching Children to Write Poetry. 1970. New York, NY: Harper, 1999. Lies, Betty Bonham. The Poet’s Pen: Writing Poetry with Middle and High School Students. Portsmouth, NH: Teacher Ideas Press, 1993. Lipson, Greta Barclay. Poetry Writing Handbook: Definitions, Examples, Lessons. Grades 4 – 6. Dayton, OH: Teaching & Learning Company, 1998. Lown, Fredric and Judith W. Steinbergh. Reading and Writing Poetry with Teenagers. Portland, ME: Walch Education, 1996. Michaels, Judith Rowe. Risking Intensity: Reading and Writing Poetry with High School Students. Urbana, IL: National Council of Teachers of English, 1999. Moon, Brian. Studying Poetry: Activities, Resources and Texts. Urbana, IL: National Council of Teachers of English, 2001. Moore, Jo Ellen. Writing Poetry With Children. Monterey, CA: Evan-Moor Corp., 1999. Morice, Dave. The Adventures of Dr. Alphabet: 104 Unusual Ways to Write Poetry in the Classroom and the Community. New York, NY: Teachers & Writers Collaborative, 1995. O’Connor, John S. Wordplaygrounds. Urbana, IL: National Council of Teachers of English, 2004. Orndorf, Eleanor. Poetry Patterns and Themes. Monterey, CA: Evan-Moor Educational Publishers, 1999. Perfect, Kathy A. Poetry Lessons- Everything You Need : A Mentor Teacher’s Lessons and Select Poems That Help You Meet the Standards Across the Curriculum and Teach Poetry with Confidence and Joy. New York, NY: Scholastic Publishers, 2005. Prelutzky, Jack. Pizza, Pigs, and Poetry: How to Write a Poem. Grades 3 – 7. New York, NY: HarperCollins (Greenwillow Books), 2008. Ruurs, Margriet. The Power of Poems: Teaching the Joy of Writing Poetry. Gainesville, FL: Maupin House, 2000. Sloan, Glenna Davis. Give Them Poetry! A Guide for Sharing Poetry, K-8. New York, NY: Teachers College Press, 2003. Somers, Albert B. Teaching Poetry in High School. Urbana, IL: National Council of Teachers of English, 1999. Tucker, Shelley. Kindle The Fire: Writing Poetry with Middle School Students. Tucson, AZ: Good Year Books, 2001. —–. Painting the Sky: Writing Poetry with Children. Tucson, AZ: Good Year Books, 2004. —–. Writing Poetry. Tucson, AZ: Good Year Books, 1992. —–. Word Weavings: Writing Poetry with Young Children. Tucson, AZ: Good Year Books, 1997. Walter, Nina Willis. Let Them Write Poetry. New York, NY: Holt, Rinehart and Winston, 1962. Behn, Robin and Chase Twichell, eds. The Practice of Poetry: Writing Exercises from Poets Who Teach. New York, NY: Harper-Collins Publishers, Inc., 1992. Drake, Barbara. Writing Poetry. 1983. Second Edition. New York, NY: Harcourt Brace & Company, 1994. Kennedy, X. J. * and Dana Gioia. * An Introduction to Poetry. Boston, MA: Little, Brown and Company, 1966. Twelfth Edition. New York, NY, Longman, 2006. Koch, Kenneth. I Never Told Anybody: Teaching Poetry Writing to Old People. 1977. New York, NY: Teachers & Writers Collaborative, 2007. Minot, Stephen. Three Genres: The Writing of Fiction, Poetry and Drama. 1965. Eighth Edition. Englewood Cliffs, NJ: Prentice-Hall, Inc., 2006. Nims, John Frederick and David Mason. * Western Wind: An Introduction to Poetry. 1974. Fifth Edition. New York: McGraw-Hill, 2005. Padgett, Ron, ed. The Teacher’s and Writer’s Handbook of Poetic Forms. 1987. Second Edition. New York, NY: Thomson-Shore, Inc., 2000. Perrine, Laurence. Sound and Sense: An Introduction to Poetry. New York, NY: Harcourt, Brace & World, Inc., 1956. Twelfth Edition, as Perrine’s Sound and Sense, by Thomas P. Arp and Greg Johnson. Florence, KY: Thomas & Wadsworth (Cengage), 2007. Wallace Robert. Writing Poems. 1982. Seventh Edition, with Michelle Boisseau and Randall Mann. New York, NY: Longman, 2007. Wormser, Baron and David Cappella. Teaching the Art of Poetry: The Moves. Mahwah, NJ: Lawrence Erlbaum, 1999. —–. A Surge of Language: Teaching Poetry Day by Day. Portsmouth, NJ: Heinemann, 2004. Fox, John. Finding What You Didn’t Lose. New York, NY: Jeremy P. Tarcher / Putnam, 1995. —–. Poetic Medicine: The Healing Art of Poem-Making. New York, NY: Jeremy P. Tarcher / Putnam, 1997. Harrower, M. The Therapy of Poetry. Springfield, IL: Thomas, 1972. Hynes, Arleen McCarty and Mary Hunes-Berry. 1986. Biblio/Poetry Therapy – The Interactive Process: A Handbook. St. Cloud, MN: North Star Press of St. Cloud, 1994. Mazza, Nicholas. Poetry Therapy: Theory and Practice. New York, NY: Routledge, 2003. Welch, J. G. Topics for Getting In Touch: A Poetry Therapy Sourcebook. Columbus, OH: Pudding Magazine, 1982. Weisberger, Chavis. The Healing Fountain: Poetry Therapy for Life’s Journey. St. Cloud, MN: North Star Press of St. Cloud, Inc., 2003. A number of entries in this part of the bibliography, such as this one, are copied from or based directly on Brogan’s EVRG. Brogan: “The second and third editions were successively revised and expanded, but no substantive changes were made thereafter…” (EVRG 242). Not strictly a handbook, but too influential on poets and subsequent handbooks to be left out of this genealogy. Brogan on the 1912 edition, titled Orthometry: The Art of Versification the Technicalities of Poetry: “For all its enormous length and pretentious title, the book is a mere handbook of forms” (EVRG 238). Brogan argues that in this book, which he admires, one begins to see the emergence of modern metrics, where meter is understood as an abstract pattern and the specific language imposed on it manifests particular rhythms (EVRG 252). Brogan characterizes this handbook as “the most influential in America around the turn of the century” and still “well worth perusal” (EVRG 253). There are still hundreds of copies for sale on the Advanced Book Exchange. * Has attended West Chester Conference. David J. Rothman - who has written 7 posts on Contemporary Poetry Review. David J. Rothman was born in Northampton, Massachusetts in 1959. He did his undergraduate work at Harvard and then received an MA in English from the University of Utah and a PhD in English from New York University. He has lived in Crested Butte, Colorado, since 1993. In the 1990s he co-founded and served as the first Executive Director of the Crested Butte Music Festival and then became the third Headmaster of Crested Butte Academy, an independent boarding and day school. He has also served as Executive Director of the Robinson Jeffers Association and is the founding Publisher and Editor of Conundrum Press, a small press devoted to writers of the west, especially poets. Rothman is the author of three books of poetry, Dominion of Shadow (1996), The Elephant’s Chiropractor (1998), which was a finalist for the 1999 Colorado Book Award, and Beauty at Night (2002). He is also the editor of The Geography of Hope: Poets of Colorado’s Western Slope. His poems have appeared in Agni, Appalachia, The Atlantic, The Gettysburg Review, The Kenyon Review, The Literary Review, Mountain Gazette, Poetry, and scores of other journals.